Massage Cupping : The use of moving cups, using the technique of massage cupping, achieves synergy between massage and cupping, optimizes all types of massage including; encouraging deep drainage of the connective tissue, fascia, lymph and other body fluids. Massage cupping is particularly interesting for cellulite problems, chronic pain and scarring. The use of suction cups on the face can even make a “facelift” natural and durable. Level 1 and Level 2/Medicupping are now offered in France and throughout Europe. The use of cupping is an integral part of Traditional Chinese Medicine (TCM) and brings a real optimization in the drainage tissues . Massage Cupping™ performs a synergy combining massage techniques and the use of suction cups. 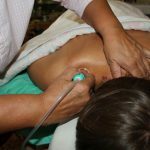 Massage Cupping™ optimizes all types of massage including encouraging deep drainage of the connective tissue , fascia , draining lymph and other body fluids. Massage Cupping™ provides considerable assistance taking care of chronic pain and all forms of overload ( cellulite, adhesions … ) . The course proposed by Doug E. Rasmusson , CMT is based on learning through experience. During the two days of training, each and every participant will thus acquire the theoretical and practical bases of Massage Cupping™. The training , conducted in small groups of up to 12 people , can address the specific needs and provide individualized training for each participant. After training, a Certificate of Massage Cupping™ Practitioner Level 1 will be issued. Take advantage of this opportunity , unique in France. MediCupping™ therapy replaces the manual vacuum equipment with an amazing machine. The versatile movements quickly and comfortably accomplish goals such as pain management, athletic performance enhancement, body contouring, detoxification and scar reduction. This special four-day intensive combines theory and foundation of MediCupping™ therapy with client assessment and protocol development theory from VacuTherapies™ Level 2.This certification workshop reviews the history of vacuum therapies, applications and contra-indications, and all of the foundation movements. Client intake, assessment and charting are addressed, and the practitioner comes to view the client through the cup, learning to discern information that the body reveals as it is being treated. The second day focuses on athletic performance, pathologies and deep tissue issues, as well as the use of magnets to accelerate results.A large focus for day three of the workshop is developing client evaluation skills using VacuTherapies™ tools and techniques to see unusual aspects of client health. Students will also learn additional skills to assess and develop a treatment protocol based on evaluation criteria results from interviewing and intake forms as well as observation during treatment sessions. Day four focuses on the lymphatic system and conditions resulting in edema, neuropathies, and “solid bloat”. A great workshop for those who want it all at once! Provides a solid foundation for effective evaluation and treatment using VacuTherapies™ theory, tools and techniques. 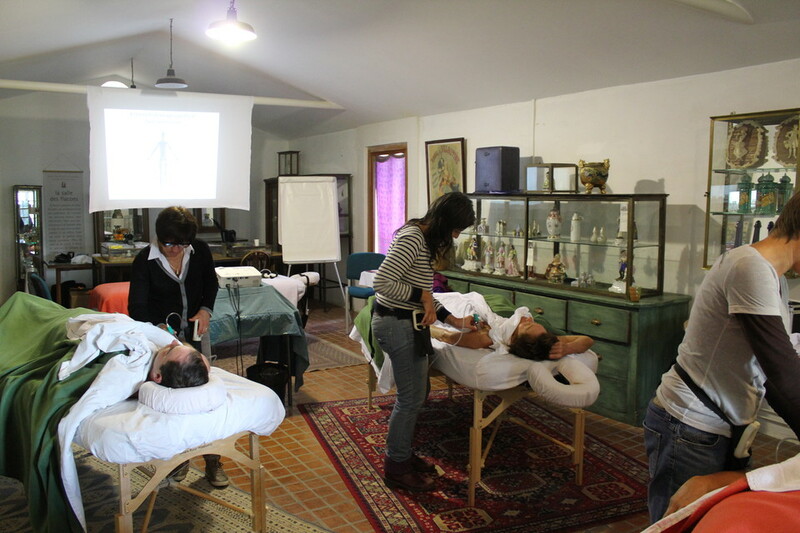 Anita Shannon, creator of Massage Cupping, will be teaching this four day intensive course.